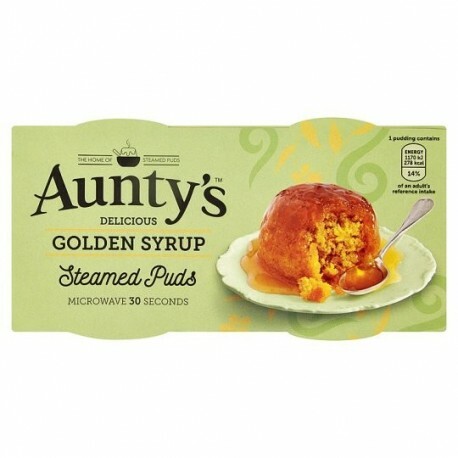 Traditionally steamed moist sponge smothered in a delicious golden syrup sauce. 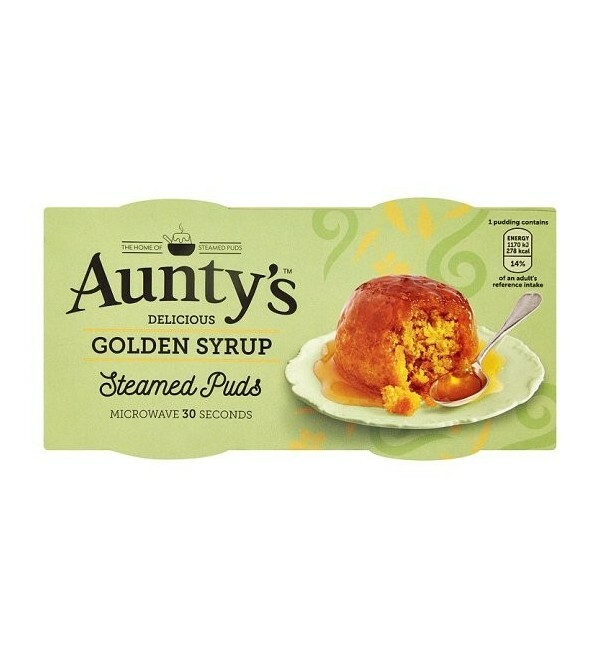 Aunty’s traditional steamed puddings are slow steamed to perfection, these deliciously rich and moist individual sponge puddings have been prepared using only the finest ingredients – just like Aunt Betty Cole’s original recipe. Available in single serve twin packs they're ideal for any occasion and take just 30 seconds to heat in the microwave. Perfect on their own, or add a touch of your own flair and serve with fruit, cream or ice-cream. Also suitable for vegetarians.